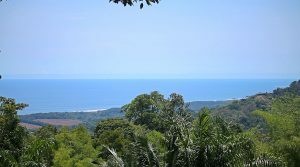 SOUTH PACIFIC ZONE - Real estate for sale in the Dominical area. Our base of operations with great access to everything in the South. Recently reduced, this is a great deal for a whitewater ocean view property in Lagunas. 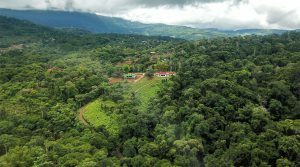 Only a short 10-minute drive from the beaches of Dominical, the Lagunas community is comprised of 60 acres bordering a large nature reserve. The home site is 1.3 acres in size and has all infrastructure in place to begin development today. This is the last of its kind in the Escaleras! 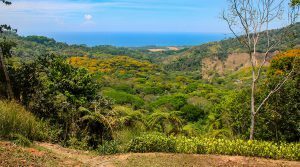 Prime 10 acre land parcel located in one of the most desirable locations in Costa Rica. 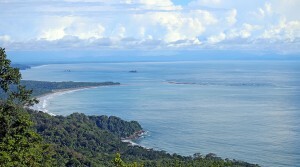 Whitewater ocean views of the coastline to the Marino Ballena Whale’s Tail. The master plan features 6 separate parcels, with an internal road, and water concession well under process. Fantastic investment opportunity! Ready to build homesite on .75 acres inside a gated community with big ocean views in Lagunas. ASADA water and electric are onsite so you can begin building immediately. There is a private hiking trail that takes you to the river bordering the property. A container shed on the property can be used as a workspace or guest house if desired. A lot of great things that come with this .75 acre property. The large ocean view building site comes with complete privacy, embedded in the mountain at the end of the road. There is a second, smaller building area and space for an electric gate. All of this is located in a private community and is ready to build with ASADA water & electric in place. 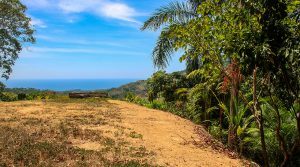 This beautiful home building site in Lagunas comes complete with retention wall, ASADA water, electric, trails, and fruit trees. One of the best features is the unobstructed ocean view that will allow you to watch ocean view sunsets year-round. It’s located off the main road and is ready to build with water / electric services in place. This modern home in Baru is almost completed and comes with the option of an additional building site next door. The home has a large balcony that overlooks the river and a plunge pool for those hot summer days. The convenient location right next to Playa Dominical makes this ideal for year round living or vacation rentals. 4 out of 5 land parcels have already sold in this high demand community. Only one 8.1 acre land parcel remains available. With private setting bordering year round creek, multiple building sites, and an open valley view. No hassles to build, great climate, easy access, plus water, electric, and internal road infrastructure is in place. This whitewater ocean view villa above Dominicalito Bay is turn key and ready to welcome a new owner. It has a proven rental income in a highly desirable vacation destination. 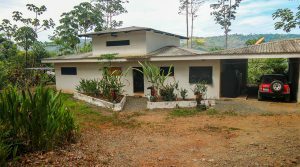 With ocean views from every room and a location so close to Dominical, this is a great investment that won’t be available for long. 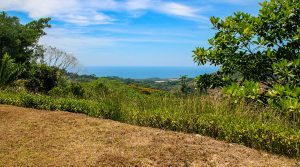 Owned by actor Dylan McDermott, this massive “double lot” luxury home site is located inside of the exclusive the Solemar community in Dominical Costa Rica. Perched above the shores of Dominicalito Bay, the property boasts jaw-dropping whitewater ocean views and includes estate plans, legal water supply and is ready to build today. 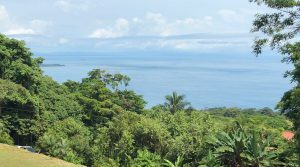 Exceptional ocean view lot located in the highly sought after Escaleras area near Dominical, Costa Rica. The property is approximately 3/4 of an acre and features a large building site with private well. Perfect for a luxury villa or a vacation rental with easy access to the beach and other popular attractions in the area. There are endless possibilities with this unfinished home in Platanillo that sits on 3.53 acres of wooded land. It’s the perfect location for your own personal, private retreat or cabin rental business with internal hiking trails. The house needs a little work to make it a home but it was built solid, has good bones, and is close to the finish line. 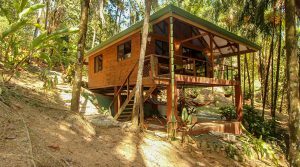 From surfers to nature enthusiasts, if you’re looking for a simple, yet clean jungle cabin near the beach, this is the place for you! 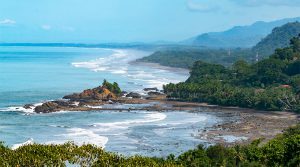 It’s located within a 20-minute walk from the beaches of Playa Hermosa near Uvita. The cabin runs on city water and electric and if you need more living space, there is a small building site for expansion. 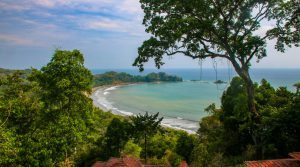 INTERESTED IN STAYING UP-TO-DATE ON THE REAL ESTATE MARKET IN COSTA RICA?